NEW YORK -- Boutros Boutros-Ghali, a veteran Egyptian diplomat who helped negotiate his country's landmark peace deal with Israel but then clashed with the United States when he served a single term as U.N. secretary-general, has died. He was 93. In a 2005 interview with The Associated Press, Boutros-Ghali called the 1994 massacre in Rwanda - in which half a million Tutsis and moderate Hutus were killed in 100 days - "my worst failure at the United Nations." Boutros-Ghali frequently took vocal stances that angered the Clinton administration - such as his strong criticism of Israel after the 1996 shelling of U.N. camp in Lebanon that killed some 100 refugees. 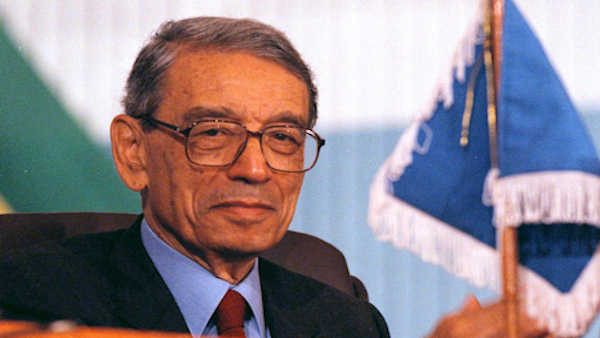 After leaving the United Nations, Boutros-Ghali served from 1998 to 2002 as secretary-general of La Francophonie - a grouping of French-speaking nations. In 2004, he was named the president of Egypt's new human rights council, a body created by Mubarak amid U.S. pressure on Arab nations to adopt political and democratic reforms.